Montgomery County Executive Ike Leggett announced the official activation of two advanced microgrids for its Public Safety Headquarters (PSHQ) in Gaithersburg and Correctional Facility in Boyds on Wednesday, Oct. 24. The activation ceremony took place at 100 Edison Park Drive in Gaithersburg. The microgrids are on-site clean power generation systems, which permit both facilities to operate independently from the power grid to ensure continuity of operations in the event of a catastrophic storm or major power outage. The completed project is provided through an innovative public-private partnership with Schneider Electric and Duke Energy Renewables that required no upfront costs for the County. The on-site power generation at these two sites is anticipated to reduce greenhouse gas emissions equal to removing more than 1,400 cars from the road or planting 178,000 new trees. The Montgomery County PSHQ microgrid also achieved Performance Excellence in Electricity Renewal (PEER) certification from Green Business Certification Inc. (GBCI) and is the first Maryland project and public safety headquarters to earn certification. PEER is the world’s first certification program that measures and improves power system performance and electricity infrastructure. Through certification, PEER recognizes industry leaders for improving efficiency and sustainability, day-to-day reliability and resilience in the face of severe events. Officials joining Leggett at the activation event included, Montgomery County Council President Hans Riemer; Montgomery County Councilmembers Roger Berliner and Sidney Katz; Deputy Assistant Secretary for Energy Efficiency U.S. Department of Energy Kathleen Hogan; Director of the Maryland Energy Administration Mary Beth Tung; Montgomery County Department of General Services Director David Dise; Schneider Electric Senior Vice President Strategy, Business Development & Government Relations Kevin Self; Vice President Duke Energy Renewables and Commercial Portfolio Chris Fallon; and Senior Vice President, U.S. Green Building Council David Witek; Pepco, Region Vice President, Maryland Affairs Jerry Pasternak. Given the Schneider Electric and Duke Energy Renewables public-private partnership (P3) made the project possible with no upfront capital costs, the County’s other budget priorities were not affected. As part of the agreement, Duke Energy Renewables will own and operate both microgrids with the assistance of its subsidiary, REC Solar, and Schneider Electric. The two advanced microgrids will produce over 11 million kWh per year with solar and combined heat and power. The microgrids continue Montgomery County’s work of delivering superior government service with the smallest environmental footprint. 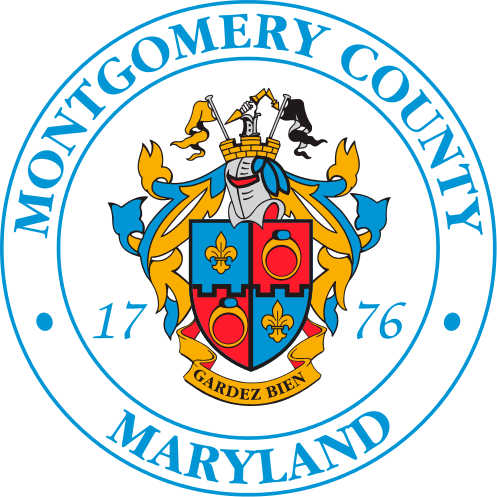 Through energy efficiency, renewable energy investment and energy purchases, Montgomery County is a carbon-neutral government. Schneider Electric is leading the Digital Transformation of Energy Management and Automation in Homes, Buildings, Data Centers, Infrastructure, and Industries. With global presence in over 100 countries, Schneider is the undisputable leader in Power Management – Medium Voltage, Low Voltage and Secure Power, and in Automation Systems. We provide integrated efficiency solutions, combining energy, automation, and software. In our global Ecosystem, we collaborate with the largest Partner, Integrator, and Developer Community on our Open Platform to deliver real-time control and operational efficiency. We believe that great people and partners make Schneider a great company and that our commitment to Innovation, Diversity, and Sustainability ensures that Life Is On everywhere, for everyone, and at every moment. Duke Energy Renewablesprimarily acquires, develops, builds and operates wind and solar electric generation facilities across the U.S. The portfolio includes nonregulated renewable energy, as well as energy storage assets. Duke Energy Renewables’ utility-scale wind and solar assets total about 2,900 megawatts (MW) – across 14 states – from 21 wind and 64 solar projects. The power produced by these projects is primarily sold through long-term contracts to utilities, electric cooperatives, municipalities, and commercial and industrial customers. Visit Duke Energy Renewablesfor more information. Duke Energy Renewables is part of the Commercial Renewables business unit of Duke Energy (NYSE: DUK). Follow Duke Energy on Twitter, LinkedIn, Instagram and Facebook.